With Some Introductory Chapters On " Old Ballads And Ballad Makers "
THIS is a story of popular song, nothing more. It does not aim at being either critical or instructive, but only entertaining. My grateful thanks are due to all those— composers, singers, authors, publishers — who have so generously responded to my appeals for assistance in my endeavour to effect the object I had in view. H.S . 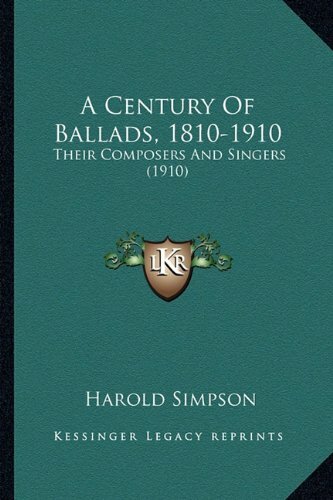 A Century Of Ballads 1810-1910, Partial Index & Page Numbers.